Visit To Shelterbox HQ - Luxury Self Catering Cottages in Cornwall. We have visited Cornwall too many times to count so it is always good to hear of a new place to visit. Truro is a town we have often driven past but never visited so we decided to combine the two on a slightly dull, drizzly day. 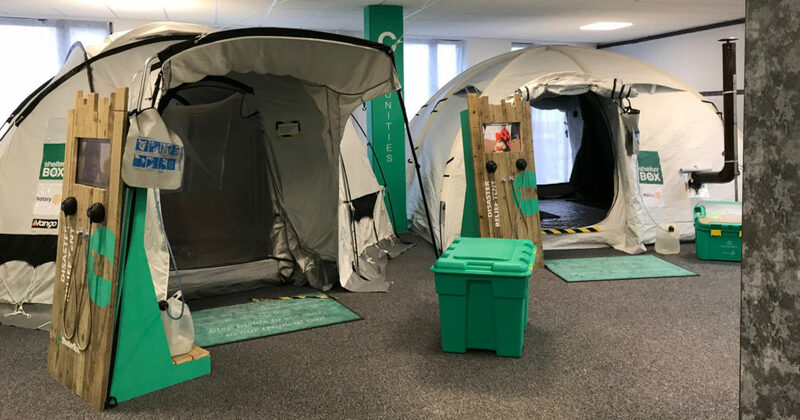 ShelterBox is a charity that hand-delivers aid to families devastated by conflict or natural disaster, to give them safe shelter and the tools to rebuild communities. It was first started in the year 2000 in Helston and was adopted by the local Rotary club as their Millenium project. It now partners with Rotary International who help with local information, translation and distribution. When you enter the Shelterbox head office on Charles Street you feel like you are entering an office building with an efficient receptionist behind a desk but she quickly put us at ease and directed us through to the vistor centre where we were met by Tony. Tony is one of the 186 Shelterbox staff who are trained to deliver the aid to every corner of the world should a conflict or natural disaster strike. Tony was a font of knowledge, he showed us how they monitor the weather across the world and use met office information to predict upcoming natural disasters. 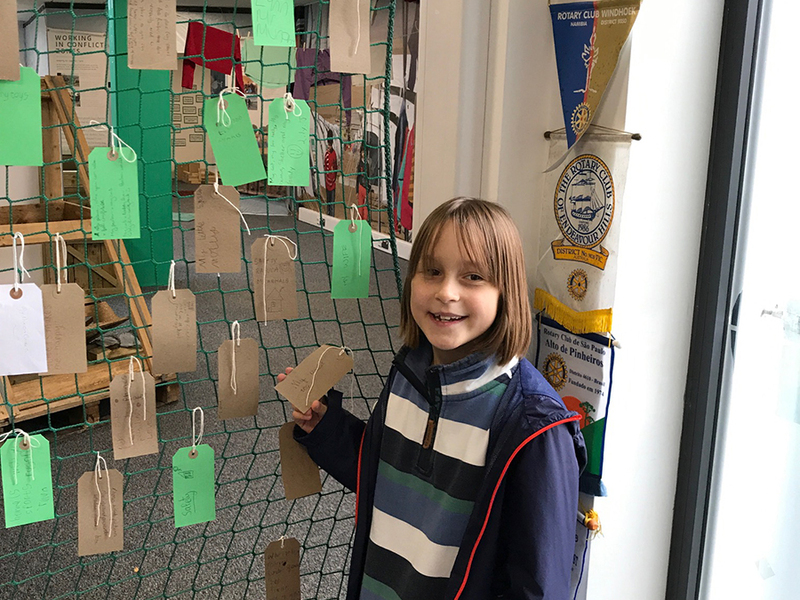 He then gave our two girls (aged 9) a fact card about a relief project Shelterbox had undertaken in the Phillipines. 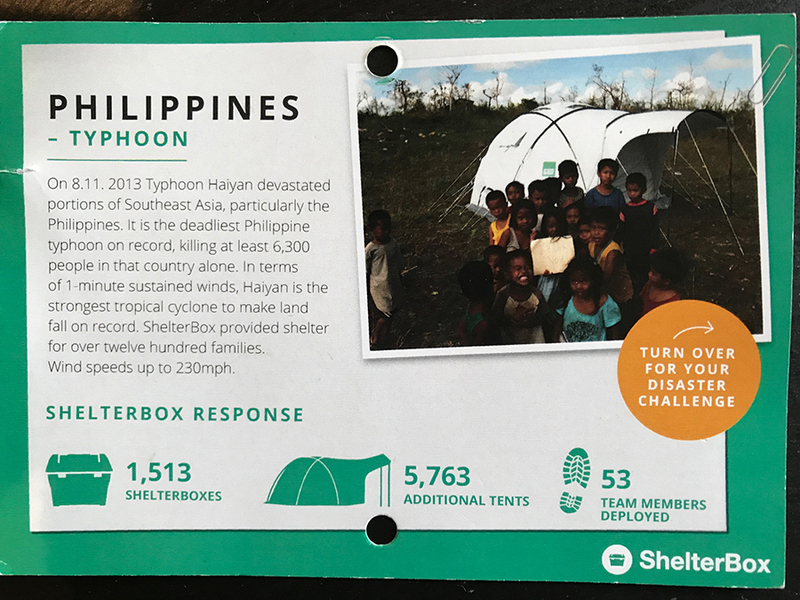 The girls found the Phillipines on a globe and tracked how the Shelterboxes had reached their destination and then the real fun part began – they got to pack their own Shelterbox! 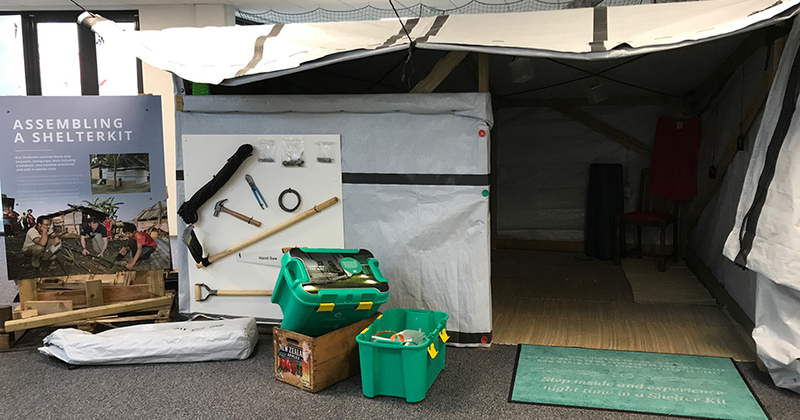 They were asked to fill the box using all the items marked with a ‘tropical’ symbol (there was also a ‘cold’ version) – the key was packing it properly to make sure there was enough space for the tent at the end! Tony then took them through each item (kitchen pack, groundsheets, water carriers, water purification system, mosquito net, toolkit, solar lights and tent) and patiently explained why they were sent and how they were used. 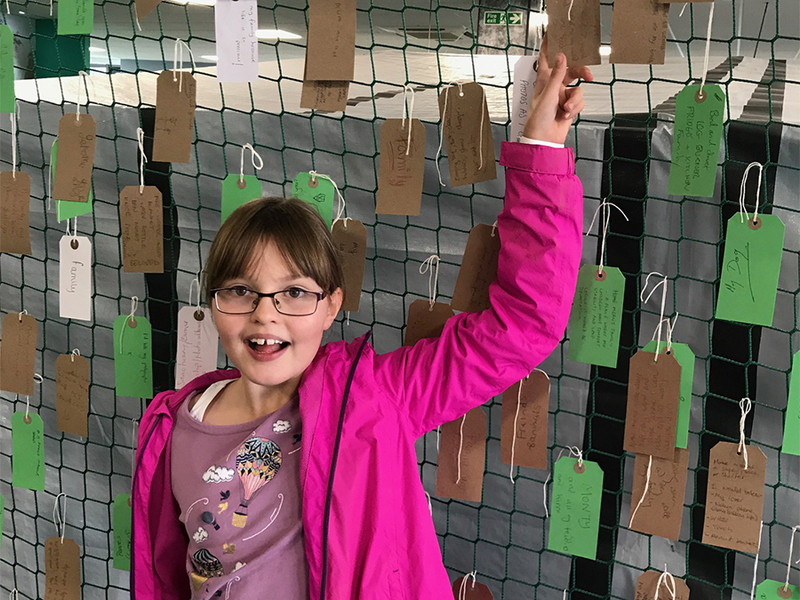 We then moved on to see a tropical tent, cold weather tent and shelter – all interactive, Tony told us all about them and we could explore inside and there were also videos to watch. 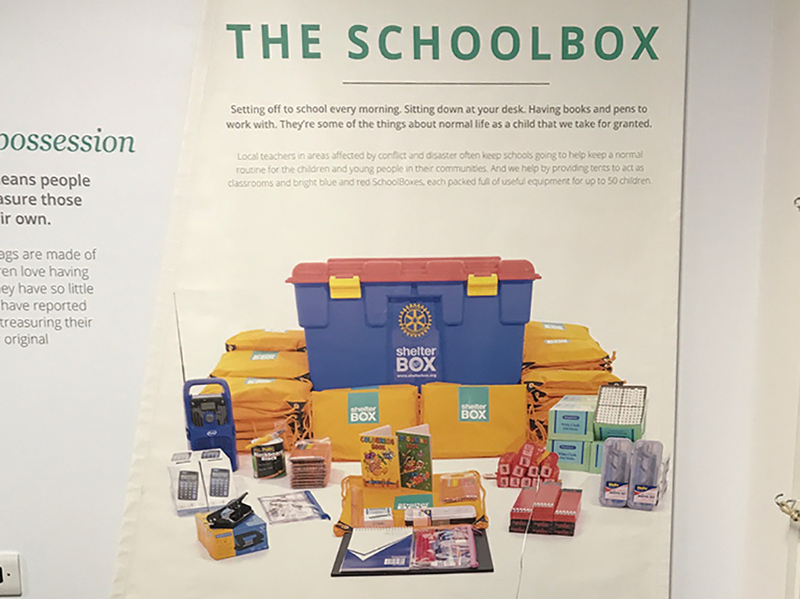 We learned about the school boxes which are sent out whenever more than 200 Shelterboxes are dispatched to the same area. These contain everything needed to set up a simple schoolroom – even blackboard paint. 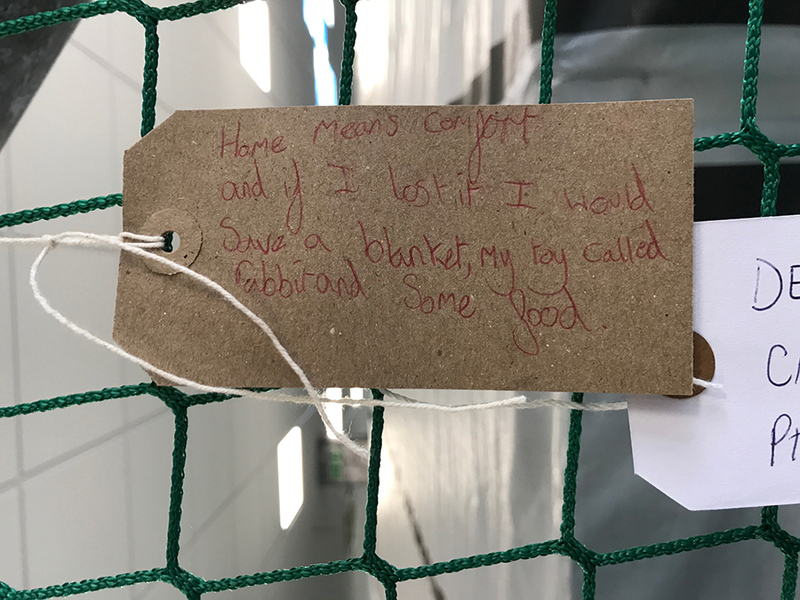 The girls then had chance to write a tag to hang on the wall saying what home means to them and what item would they save if they had to leave their home quickly. Very small children are able to use wooden blocks and duplo style bricks to make their own shelters. It was a fun, enjoyable and very educational visit. 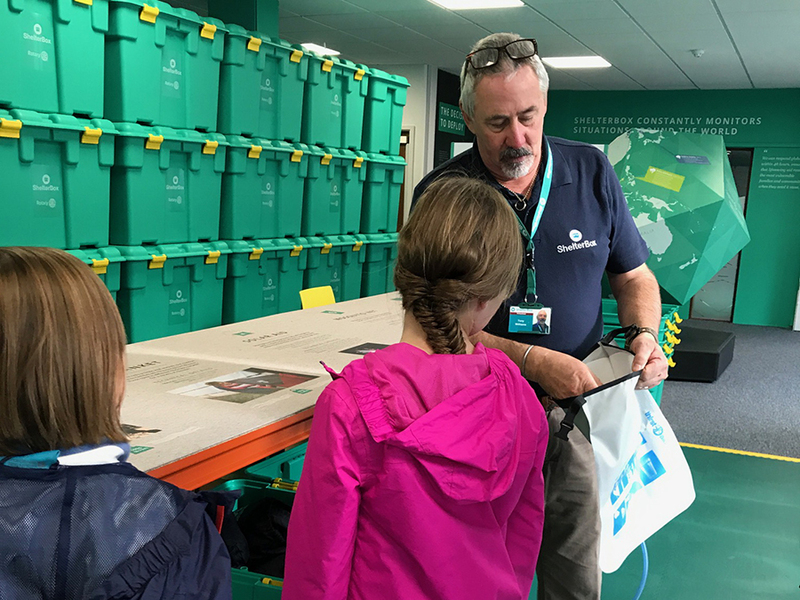 We all learned a huge amount about Shelterbox and the challenging conditions people are facing across the world every day of the year. There is parking nearby, entry is free but there is a collection box for donations. They also have a café and shop onsite (we didn’t visit them so can’t review what they were like). We were there for just over an hour.